All for-profit productions/professional seating theatres with seating capacity greater than 100 should contact Dr Case for licensing and pricing of all plays available in the catalog. Church, School and Non-Profit Organizations can purchase specific licensing for their production through our online purchasing program. Licensing agreements and purchase options (read-only copy or production license) are available on the download page for the play you have chosen.  Click here to view the Dramatists Guild of America specific licensing guidelines.